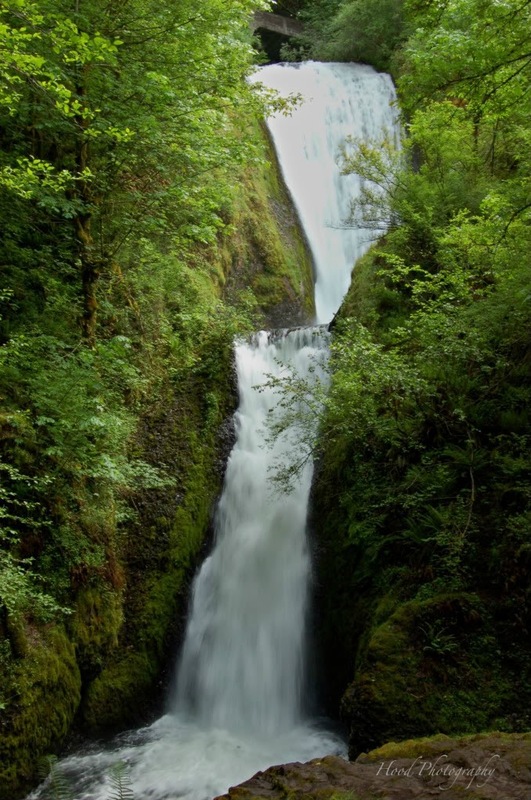 Back to the waterfall photos I took in the Columbia River Gorge a few weekends ago. As I mentioned in last weeks post, we hiked in to Bridal Veil Falls. The Historic Columbia River Highway passes over the falls (you can see the bridge at the top of the photo), and you take a path to the bottom of the falls. Recently the falls was in the local news because a group of teenagers risked their lives and kayaked over the falls. kayaked over the fall?! holy molly! this is breathtaking! beautiful nature. What a great shot! I bet there was a lot of noise from all that falling water! You captured the falls beautifully!